Last month over 150 people attended our 6th annual Rosalie Rendu Forum. We were very honoured to have Emeritus Professor Gillian Triggs attend as our keynote speaker. 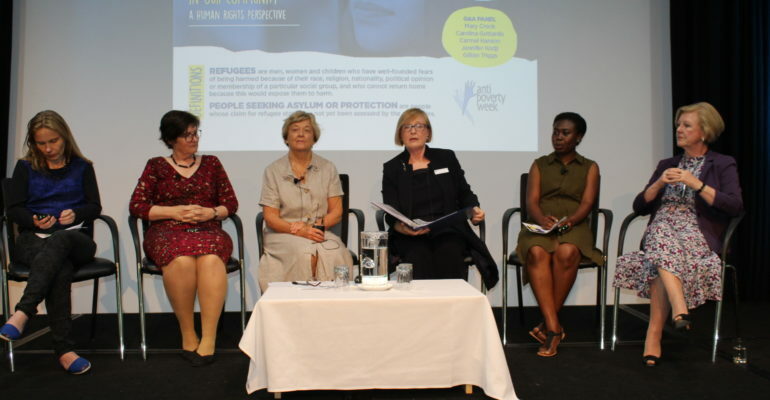 She discussed ‘people seeking asylum in our communities – a human rights perspective’ detailing the limited government and public support for the plight of refugees, and how charities such as Vinnies are at the forefront of providing relief. Professor Triggs was joined by a panel of female experts who gave a deep insight into the experiences that these people face and offered their solutions and advice. Thank you to all those who joined us for this important occasion!